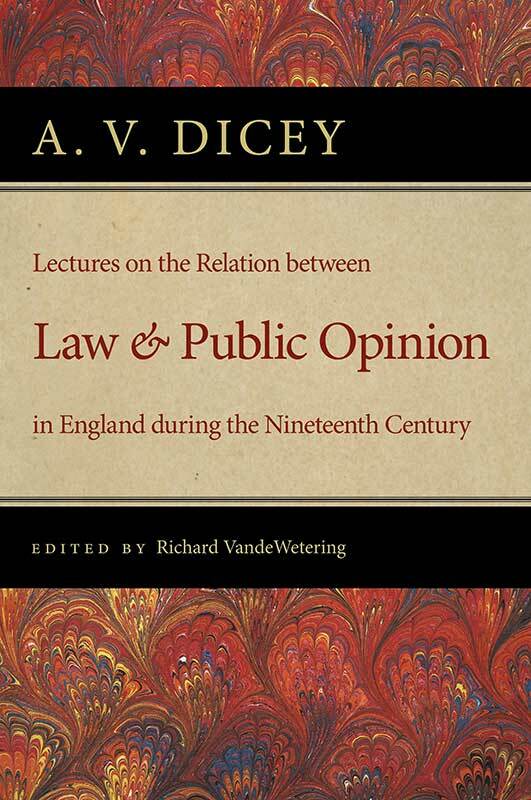 This volume brings together a series of lectures A. V. Dicey first gave at Harvard Law School on the influence of public opinion in England during the nineteenth century and its impact on legislation. Dicey’s lectures were accurate as a reflection of the anxieties felt by turn-of-the-century Benthamite Liberals in the face of Socialist and New Liberal challenges. Richard VandeWetering is Assistant Professor of Political Science at the University of Western Ontario. Introduction to the Liberty Fund edition, editor's note, prefaces to the first and second editions, introduction to the second edition, index.